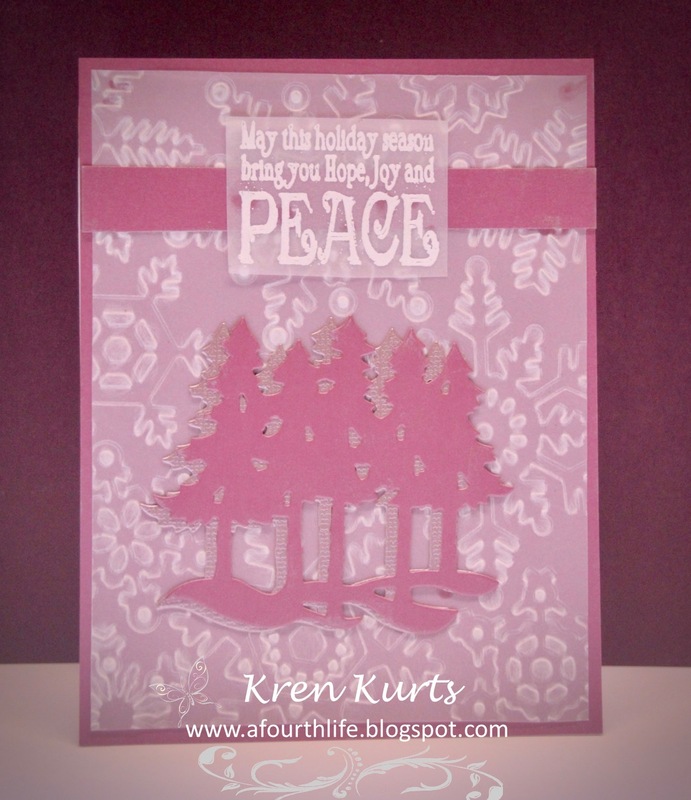 It's Kren here sharing another project for Twofer Tuesday using a new arrival, Forest, to create two cards. My cards are usually one-of-a-kind. By doing two, I can vary the design and techniques and still save time. 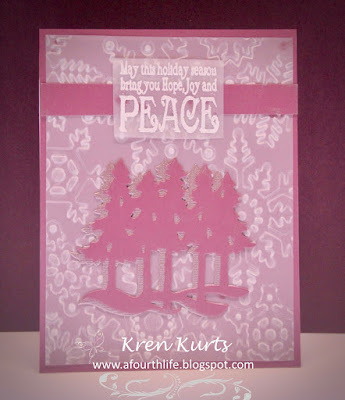 I used vellum in several ways and now I have two more holiday cards to add to my stash. Here are the Tuesday Tips for creating this project. 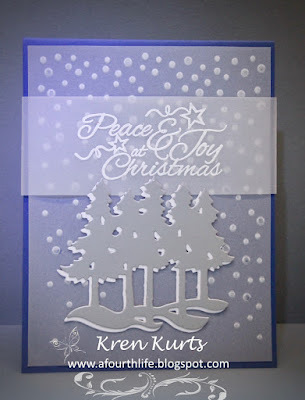 Dry embossing vellum creates interesting patterns for overlays. 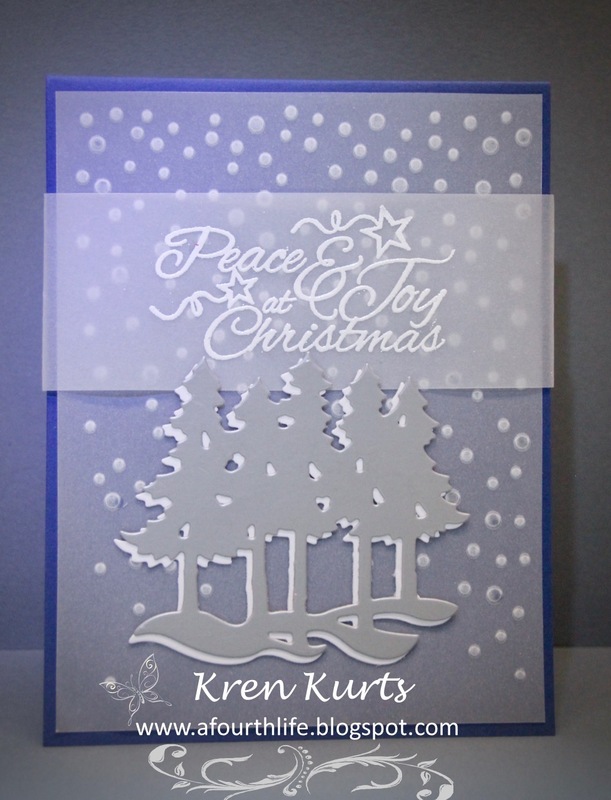 Then more vellum, floating or across the card to add the sentiments makes adding adhesive easier and less conspicuous. Stagger your dies to create a shadow effect.